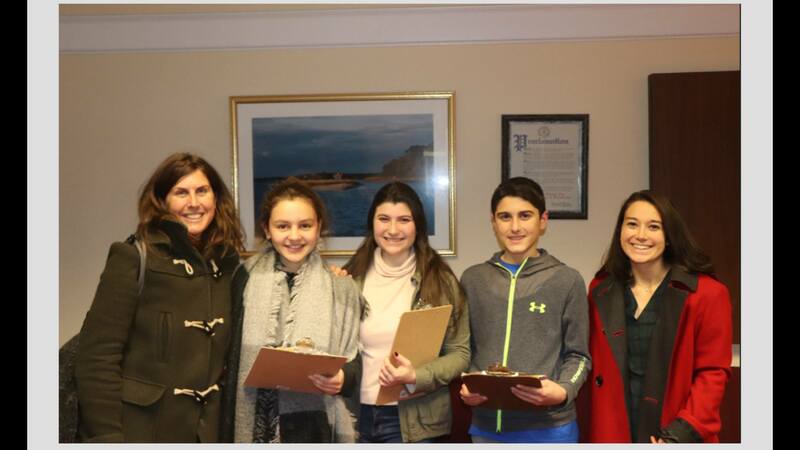 After donating presents to children in foster care at LI Adolescent, The Ward Melville Heritage Organization continued to support those in need this winter. Our Santa Fund initiative provided sweaters, scarves and spring blouses from LOFT to 9 women in recovery from substance abuse addiction at “Suffolk County Offices Family of Services Madonna Heights” program. We are there for you all year long! The Ward Melville Heritage Organization’s (WMHO) Youth Corps raised over $570 at their annual “Santa Fund”, bake sale table at the Holiday Festival! These donations allowed the Youth Corps to provide 20 foster children at Long Island Adolescent the holiday gifts of their choice. We are very proud of all of our Youth Corps members and the hard work these students put in to give back to others in their community. 3-27-17—Walk For Beauty check presentation at Stony Brook Cancer Center. Stony Brook, NY — Stony Brook University Cancer Center received a donation of $40,000 from the Ward Melville Heritage Organization (WMHO) which were funds raised from WMHO’s 23rd Annual Walk for Beauty held Sunday, October 23, 2016, in Stony Brook, NY. The Walk for Beauty has raised over $1.365 million for cancer research since its inception in 1994. Funds raised also help to supply items such as wigs and prostheses for Cancer Center patients. 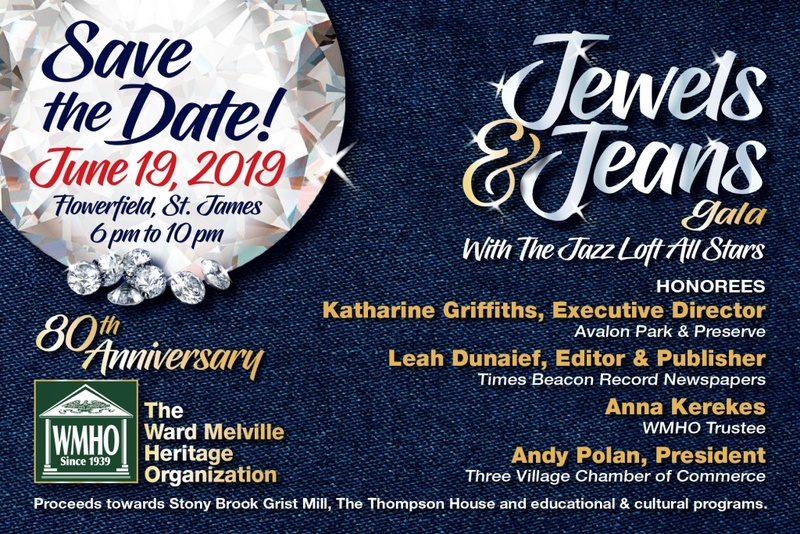 The event is an all-volunteer initiative with no administrative costs. Registration is now open for the 2017 Walk for Beauty which will take place on Sunday, October 22. Register here! Caption: Gloria Rocchio, President, Ward Melville Heritage Organization and Co-Chair, Walk for Beauty (center); Suffolk County Legislator, Kara Hahn, Co-Chair, Walk for Beauty (left of center); Carol Simco, Co-Chair, Walk for Beauty (right of center); presented check for $40,000 to Yusuf A. Hannun, MD, Director, Stony Brook Cancer Center, Vice Dean, Cancer Medicine (rear of center). Dr. Jun Lin (4th from right) and Dr. Scott Powers (rear Dr. Lin) are cancer researchers whose projects received funds raised. Joining the check presentation are Dr. Lina Obeid, Dean for Research, Stony Brook University School of Medicine (4th from left); WMHO Trustee, Anna Kerekes (5th from right); Town of Brookhaven Councilwoman, Valerie M. Cartright (far right); and committee members. WMHO is proud to named as an honorable mention for the Center for Interactive Learning and Collaboration 2015-2016 Pinnacle Award! The Pinnacle Award is given annually, by the CILC, to organizations that receive outstanding scores on program evaluations submitted by educators and other end users. Receiving the award indicates remarkable quality of educational content and exceptional skill at program delivery. Teachers Federal Credit Union, one of the country’s largest credit unions, has partnered with WMHO in support of our education outreach programs. 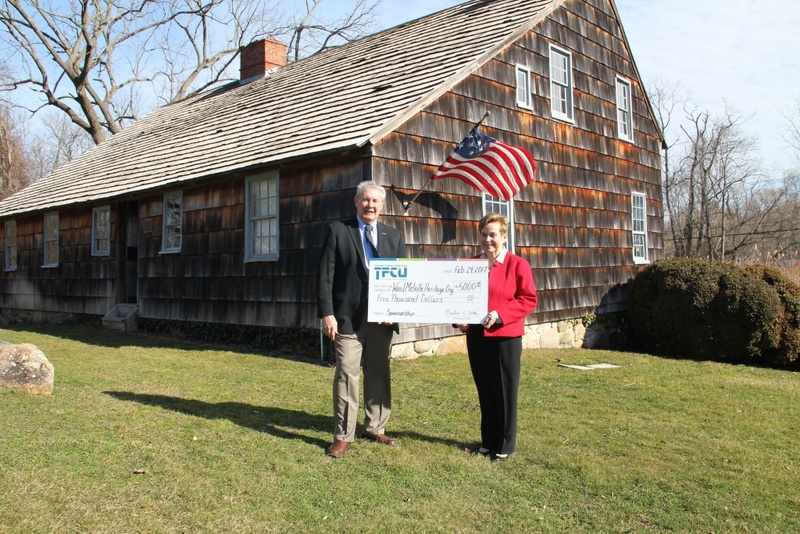 Robert G. Allen, CEO/President of TFCU, recently presented a $5,000 check to Gloria D. Rocchio, President of The Ward Melville Heritage Organization at The Brewster House, one of the historic sites it owns, maintains and interprets. TFCU has elected to underwrite six (6) on-site and six (6) distance learning programs for students attending schools within communities where its branches are located. Both on-site and distance learning programs will be scheduled at The Brewster House or The Thompson House in East Setauket and an on-site program at the Stony Brook Grist Mill. The program fees will be covered in part by the grant from TFCU and are all aligned to Common Core and New York State Learning Standards. Programs are taught by qualified instructors and are BOCES Arts-In-Education reimbursable. The schools will pay for bus service, a portion of which will be reimbursed by BOCES.